I was asked by the Art Fund to write a guide to Liverpool. We’ve got so much great art, culture and food, and they thought you might need a hand choosing where to head if you only have a day. So here it is: 800 words on some of my favourite places in the city, and some where having a National Art Pass comes in handy. 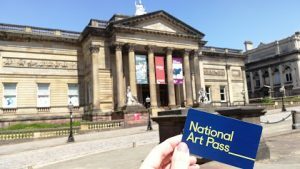 This entry was posted in Current exhibitions, Exhibitions, Home, Let's Talk About It and tagged art, culture, Liverpool, tourist. Bookmark the permalink.